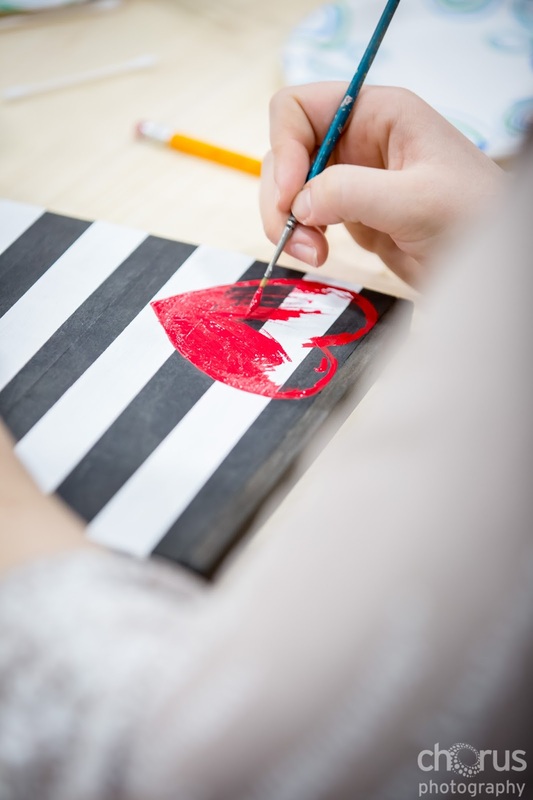 Well, who doesn’t love a good make and take? you’ve already seen what the make and take is all about. 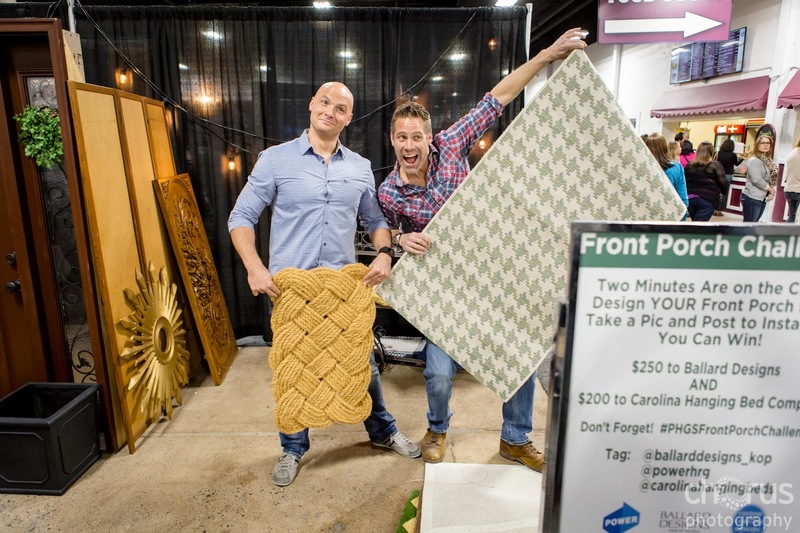 This year I had the pleasure of sticking my 2 cents in and and adding a few new features to the Philly Home Show. The people have spoken and I listened! The new features at the show are things that I would want to see and do at a home show, so hopefully you will too! MAKE IT TAKE IT Station. 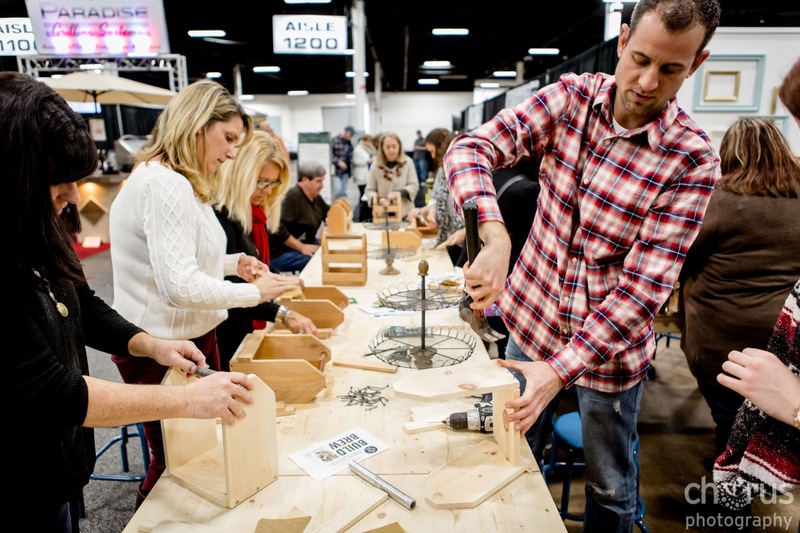 The Make it Take it station is a FREE place for attendees of the show to sit down, learn a new craft, make it, and take it home with them. There are dozens of workshops scheduled throughout the run of the show. 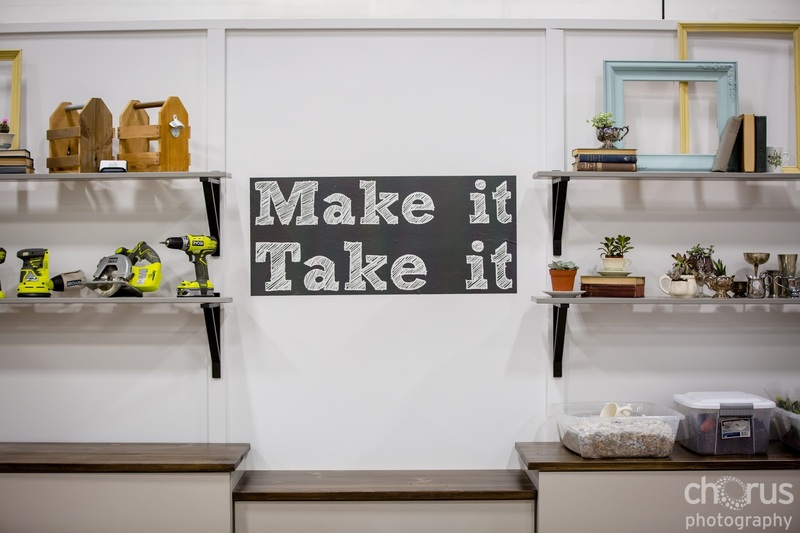 The Make it Take it station can accommodate 15 crafters at each workshop. The station is first come first served. So have a seat, get your hands dirty and MAKE something! The #FrontPorchChallenge is a 2 minute competition where you compete against other home show guests for the best front porch display. At the end of the Show 1 winner will be chosen by our team of designers as the Best Front Porch Stylist! 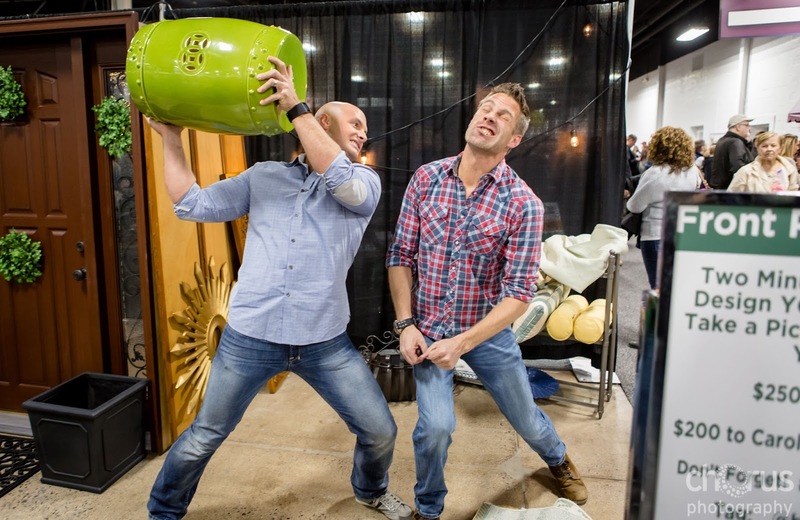 You might recognize these hunks from HGTV too. According to the audience watching – Jeff Devlin was the winner. The #IKEAWhiteSofaChallenge is a 2 minute competition where you compete against other home show guests for the best styled sofa. You’ll have two minutes to accessories and style our white sofa with tons of pillows, throws and accessories from IKEA. At the end of the Show 1 winner will be chosen by our team of designers as the Best styled sofa. One winner will receive a gift card from IKEA. 3 Designers are given sheds to design how ever they choose. The sheds are nested in a cobblestone court yard where beer and wine tastings will be held both Saturday nights of the Home Show. 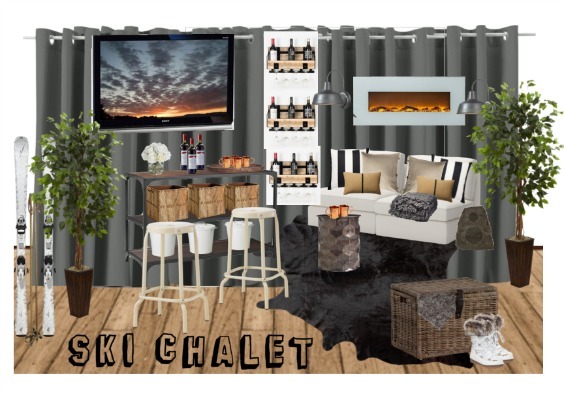 Come tour the design shed area and dream about adding a hideaway to your backyard! I hope you like all the new additions to the show. There are also tons of experts there to answer your renovation questions and see some great ideas for your home up close. So take a trip down, you won’t be disappointed! If your a local blogger, I also host a preview party for bloggers. So shot me a message and I’ll send you an invite.